Glossy photograph of cover. 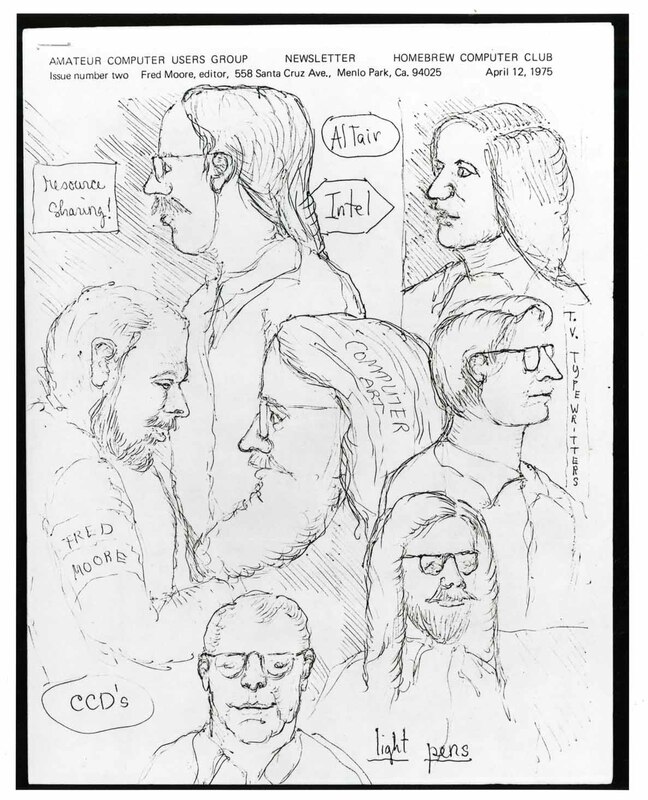 Cover is black and white pen and ink drawing of seven men and the words, "resourse sharing!" "Altair", "Intel," "Computer Art," "T.V. Typewriters," "CCD's," "light pens" and an armband on one of the men that says, "Fred Moore." Printed at the top of the drawing, "AMATEUR COMPUTER USERS GROUP NEWSLETTER HOMEBREW COMPUTER CLUB Issue number two Fred Moore, editor, 558 Santa Cruz Ave., Menlo Park, Ca. 94025 April 12, 1975"